Packing your house into small boxes and moving them is difficult but nothing compared to unpacking those same boxes and organising everything around the house. Some people leave packed boxes packed for months before they muster the energy to dive into the task of unpacking everything they so painstakingly packed away. It is a fear of disorganising the stuff around the house added to a sense of complacency that makes us leave the packed boxes untouched for ages. If only done the right way, unpacking can be a painless exercise. One of the major factors causing us to delay the unpacking is the fact that we are usually too tired from packing and moving the boxes, and unpacking them seems like an unbearable task so soon after that. So, it is important to unwind before one can start unpacking. If you have packed sensibly, unpacking will be as easy as opening a box and taking stuff out of it. One should start by unpacking the box with essentials, such as bedding, everyday toiletries, etc. and try to rest a day or two before starting the long process of unpacking and organising everything else. Once you are rested, the process can begin. Unpacking should be done gradually. One box should be unpacked at a time and the things that are taken out should be organised and put away immediately. This will keep things from piling up as well as speed up the process. A room plan should be in place for unpacking the boxes. Boxes belonging in one room should be assembles in that room and unpacked first. For example, kitchen and bathroom boxes are usually the first ones to be unpacked and organised. It is not important to unpack everything right away; essentials can be unpacked and the rest can be left for another day. After the bathroom and the kitchen, the living room has to be organised and thus the boxes belonging in the living room should be unpacked next. This is the most time consuming of all. From furniture to electronics, such as the television, and from carpets to decorative items, the living room takes time to organise. It is important to devote a good amount of time to unpacking the living room and organising the things in it. Follow the golden rule of unpacking: unpack the most important things first – sofa, carpets, cushions – and then move to least important things – television, decorative items, etc. You can even push unpacking the electronics and decorations to a later day. It is wise to take a break between rooms, especially after all the unpacking and organising that is required in the living room. After a break, it might be a good idea to get the bedroom ready. The bedrooms take days to get organised, especially because of all the clothes that need to be arranged. This should be done gradually and sensibly. 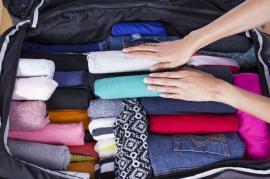 For example, one can unpack only summer clothes if it is summer and keep the winter clothes packed, or vice versa. Organisation of all your stuff around the house takes time and it is important to unpack slowly so that the things can be organised bit by bit. The unpacked and half empty boxes should be stacked in a separate room or in the garage so that after the initial unpacking and organisation is done, one can easily keep unpacking less important items and arranging them as time allows. After the initial unpacking phase, you can start with setting up the television and the computer. These things need dedicated time and effort and cannot be a part of the general unpacking and organisation process. The packing boxes, once empty, should be folded and stored safely somewhere. These boxes are not only very useful but can be hard to find easily in the time of need, so you may not want to get rid of them right away.